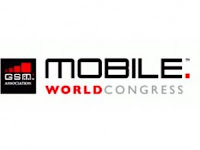 William “Bill” Clay Ford, Jr. was a keynote speaker at the Mobile World Congress in Barcelona this week. Here Bill Ford discussed Ford’s current mobile technology innovations as well as shared his visions and plans for the technology future of the company. “Both the automotive and telecom industries are at historic crossroads.” said Ford. SYNC has already been included in over four million vehicles in the U.S. since the product launch in 2007. Ford had recently announced that it would be bringing SYNC to its European Ford drivers and by 2015 Ford plans to have 13 million drivers equipped with SYNC, including 3.5 million in Europe alone. 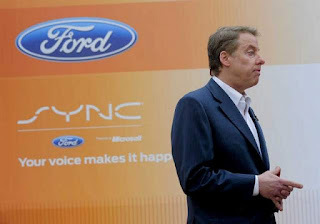 SYNC is going to be Bill Ford’s backdrop for his Blueprint for Mobility. The Blueprint for Mobility sets short term and long-term goals for significantly reducing Ford’s carbon footprint and to visualize what the transportation will look like in the year 2025 and even further into the future. Ford wants the company to be an innovative leader for the technology and automotive industry by developing intricate in-car mobile communications system with projects like the vehicle-to-vehicle warning systems to alert drivers of traffic jams and accidents. In the long run Ford is getting ready for the transportation landscape change where pedestrian, bicycle, private car, commercial and public transportation traffic will be woven into a single connected network to save time, conserve resources, produce lower emissions and improve safety for everyone involved. 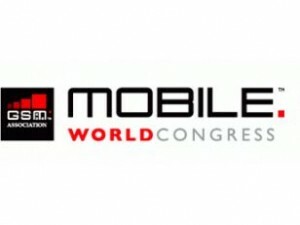 For a full recap of Bill Ford’s keynote speech at the Mobile World Congress visit The Next Web website. Come into Brighton Ford and see the limitless communication possibilities that SYNC has to offer on tons of our new Ford vehicles.